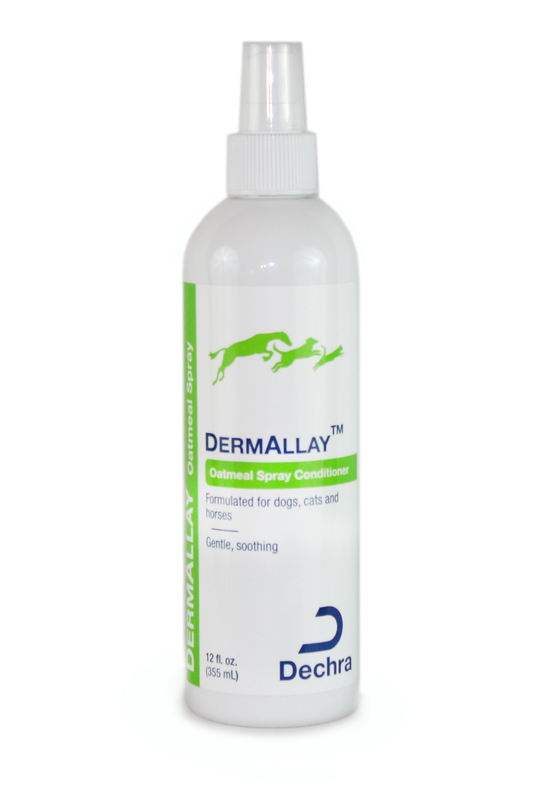 Dechra's gentle, soap-free Dermallay Oatmeal Spray Conditioner provides soothing relief to dry, itchy skin. Colloidal oatmeal and safflower oil soothe skin that's dry from allergies or weather and help skin retain moisture. Cermides moisturize and repair damaged skin. SHAKE WELL. For dry application - apply directly to skin and coat and allow to dry. For wet application or after shampooing - remove excess moisture and apply directly to skin and haircoat. Use as often as desired or as directed by veterinarian.